Sheep Racing in Boolial, Australia | Wicked and Weird...Around The World! Booligal, a tiny town in New South Wales, Australia. The main industries in this region are agricultural, with a large focus on sheep meat and wool. As such, it´s no surprise that the folks in Booligal found another use for their sheep; racing. 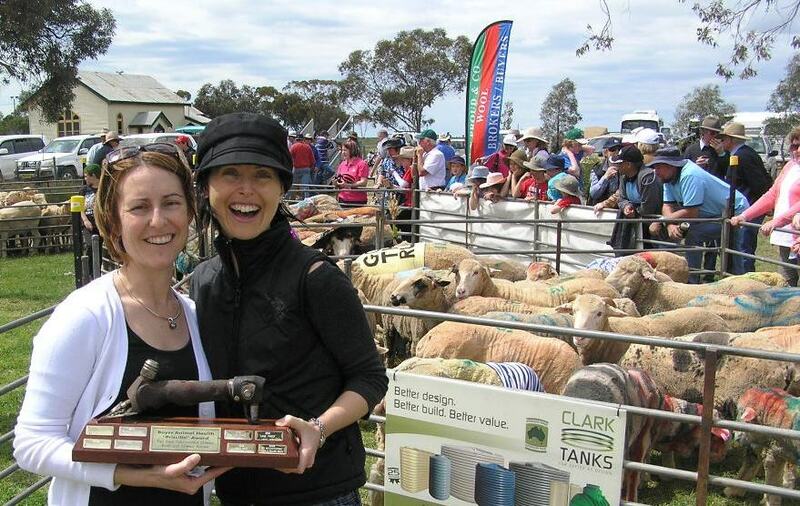 Each year, folks from NSW and further gather in Booligal to dress up their sheep, give it a sassy name and race them for charity. A fun filled day for the whole family, the Sheep Races keep everyone on their toes as heat after heat of fluffy sheep race for the title. Some people take the event more to heart than others; last year a couple got married at the races. Not baaaad (okay, sorry). Don´t actually own a sheep? No problem! Sheep are available for hire on the day. Expect a BBQ, prizes for best dressed sheep and fireworks in the evening. Did I mention that I´ll be heading down there to test out my sheep racing skills? Yep! I leave tonight for a 26 hour journey to Australia. Wish me luck and if you´re in the neighbourhood, come out and join us in Booligal for some fun! For more information on the Sheep Races, check out the Official Website. Does the BBQ involve a sheep? So interesting! Very educative too.